At a time when music piracy was at an all time high, the RIAA was suing everybody and every company that tried what he did, he managed to not only succeed but to build an entire new way of retailing music and the device that plays it. He brought the iPod and iTunes to the world and legally sold digital music downloads to a hungry community of young people. Portability and digital media by the song, rather than the album, was the flavor society wanted and he delivered it all. Jobs created an entirely new paradigm in music. Fought all the way by the RIAA and the record labels, he forged ahead and created an entirely new music model while smashing the old. The high-paid record execs stood around with their jaws agape wondering what happened. What happened was that a computer company beat the music industry at the music game on the music industry's own terms and turf. He did what the music industry could not and would not do. In fact, they are still trying to figure it out. Now that Apple had a full head of steam with their music selling faster than anything and an ever starving audience, he brought out another device. He introduced the iPhone and then the iPad. Portability was king and having a single device that was a cell phone, personal business package, iPod, web browsers, texting engine and more all in one device satisfied virtually everybody's wants and desires. Society badly wanted these things and didn't even know it but, once look at the iPhone and they couldn't build them fast enough. The iPad tablet was just an extension of the iPhone and utilized pretty much the same technology. Music, videos, web, digital camera and more in a larger package for those that required more screen resolution. Here is a device that connects with the cellular network over 4th generation (4G) wireless and enables the user to use their computer where they are -- not where the computer is hooked up. Another winner. 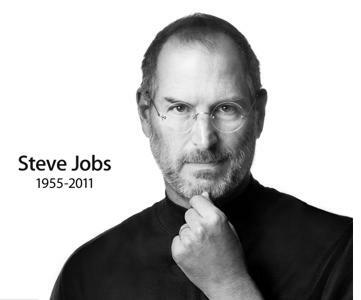 Now, with all these devices all providing related functionality, he needed a way to put it all together and shortly before his death, he introduced the iCloud - a wireless network that enables all the iFamily of devices to share all their files, multi-media, and more with each other device in the user's environment. Thus, if a song resides on the user's iPad and the users wants to hear it on the iPhone, it is readily available as if it was already there. The cloud is all encompassing. It took a computer company to show the music industry how to do their job and many in the industry still haven't figured it out. Steve Jobs and Apple moved the entire music industry like a giant earthquake jolt and the after shocks are still occurring years later. Jobs and Apple were more than successful. They were giants in the world of technology. From their Apple stores to their Mac line of computers, they shook up and awakened an entire world of technology like no other company before. He will be surely missed.